Raskin & Kremins, LLP has extensive experience helping clients get the medical care, information, and compensation they need to achieve the best quality of life possible after a personal injury or another unexpected turn of events. We understand that the law can be confusing and lawsuits can be intimidating. We guide you each step of the way and help you understand all of your legal options. We have a history of winning numerous multi-million dollar awards for our clients, so we are fully prepared and ready to fight for you. With us by your side, you can pursue the compensation you deserve with confidence. 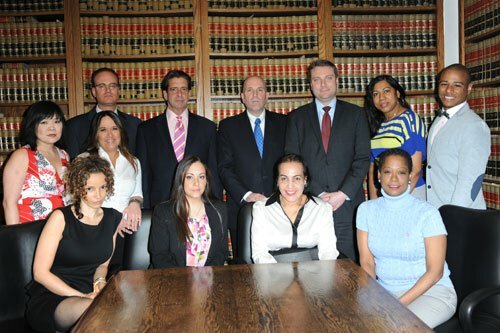 With more than 70 years of combined experience, we have handled a wide variety of injury cases. We understand what strategies work best in negotiating settlements and litigating in the courtroom. Whether you are an injured individual or a law firm with a client who needs our assistance, we provide a variety of benefits. 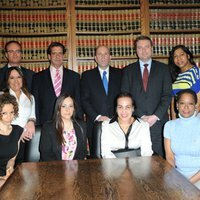 Cumulatively, our attorneys have more than seven decades of experience. We are skilled in negotiating and litigating cases in both state and federal courts. Our track record of success speaks for itself. We have helped hundreds of injured individuals obtain the monetary award they deserve for their damages suffered. Rather than operating as a legal “mill,” we create individualized strategies to meet your unique legal needs, and we are proud of our friendly and helpful staff. We offer experienced, comprehensive legal services focused on helping injured individuals or those who have had their rights violated. Let us be your advocate in pursuing justice and in recovering the compensation you are entitled to for your damages suffered. At Raskin & Kremins, LLP, we strive to recover the maximum amount available to help you move forward with your life after sustaining an injury. We are conveniently located in New York City. Our offices are located on Broadway in Manhattan and on Sheridan Avenue in the Bronx. Call us at to schedule your free initial consultation today.